Retiring to Florida is an American tradition woven as deeply into the cultural fabric as Chevrolets and apple pie. The Sunshine State beckons retirees with its miles of shoreline, year-round warm weather, abundant sunshine, and golf courses and tennis courts galore. As if the weather and the scenery are not big enough draws, Florida also offers no state income tax and a cost of living that is surprisingly low compared to other beach paradises such as Southern California. 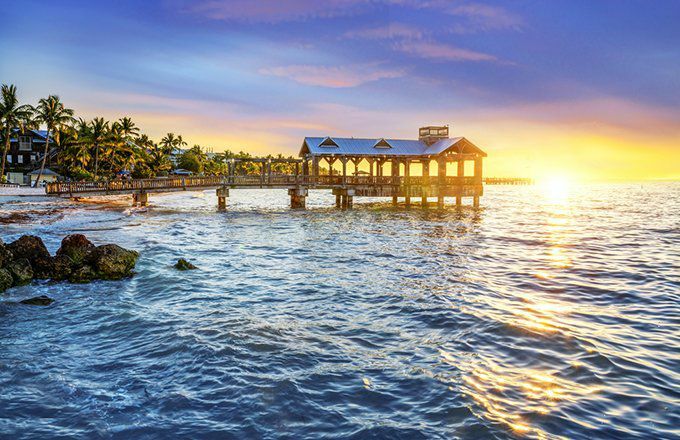 Retirement communities dot the state from the Panhandle to the Keys, nearly all of them bursting at the seams with eager seniors excited about living out their golden years in paradise. However, these veritable villages of retirees are anything but homogeneous. Retirement communities in Florida run the gamut from working-class and modest to lavish and extravagant. While the majority of these communities represent Americana, albeit at an advanced age, certain Florida enclaves serve as a magnet for the ultra-rich. Retirees are not solely responsible for the area’s wealth. Miami Beach remains immensely popular with wealthy investors, many of them foreign, but the ones who can afford to retire in Miami Beach have done well for themselves during their working years. The Miami Beach area is also home to the richest ZIP code in the Southeast: 33109, Fisher Island. This playground for the uber-wealthy features a staggering median annual income north of $2 million. Retirees looking for a slow pace of life should steer clear of Miami Beach. The pace is frenetic, the streets are perpetually jammed with traffic, and like New York, the city never sleeps. The bars and clubs that run parallel to the shoreline remain as crowded at 6 a.m. as at 10 p.m. For active retirees with robust social lives, Miami Beach is certainly worth a look, provided you can afford it. Situated across the Intracoastal Waterway from the much larger city of West Palm Beach, the island of Palm Beach exists in a world of its own. Wealthy public figures such as President Donald Trump, former New York City Mayor Rudolph Giuliani and best-selling author James Patterson own homes in Palm Beach. Even residents without famous names do not lack wealth; as of 2015, the city’s median annual income stands at $125,000. Even that amount, which is more than triple the median household income in America, is tantamount to poverty for many Palm Beach neighborhoods. Large swaths of the island remain untouchable for anyone who is not a multimillionaire. Palm Beach does not offer the extravagant nightlife of Miami Beach, and its residents prefer it that way. What the city does offer is world-class boutique shopping along Worth Avenue, quiet living, several miles of picturesque public beaches and a crime rate that remains very low thanks to a highly vigilant local police force. A common misconception about Key West is that it offers the same beach lifestyle as Miami Beach, Palm Beach and other seaside Florida communities. In fact, the Key West shoreline is mostly rocky and not conducive to typical beach activities. For retirees who love fishing and boating, however, few Florida towns offer a more ideal situation than Key West. The open-air restaurants and bars along Duval Street have served as a favorite playground for a long list of celebrities, most notably singer Jimmy Buffett. Living in Key West is far from cheap, and the retirees who descend on this funky island tend to have plenty of cash in tow. The median Key West home price in 2013 was more than $500,000, and that number is rising rapidly as Florida continues to climb out of the late 2000s housing slump. Enjoying Key West to its full potential also means owning a fishing boat and having somewhere to dock it, expenses that are prohibitively expensive for the average retiree. Is Warren Buffett’s 90/10 Asset Allocation Sound? Can Fitbit Survive by Itself?